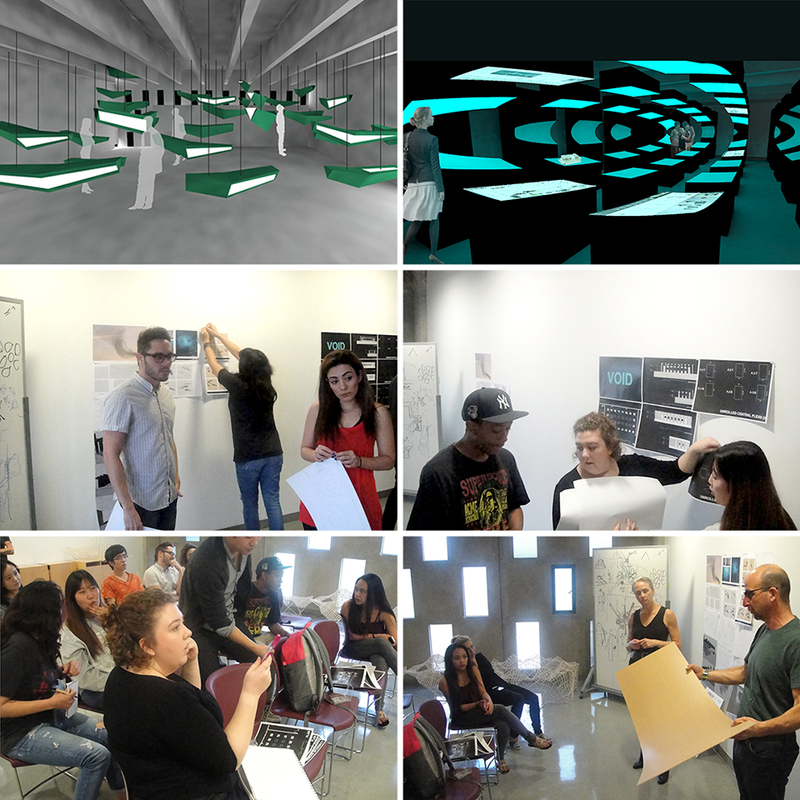 2015 Architecture/Landscape/Interiors graduating seniors (Rex Crafts, Diana Gonong, Shadi Hashemi, Suna Jaen, Merve Onur, Ju Sung Park, Cyntha Soto, Izzy Savage, and Nyann Swain-Welborn) are designing a spatial environment that they will fabricate and install on the 5th floor of Ahmanson Hall, on OTIS’ Elaine and Bram Goldsmith Campus. Currently, A/L/I seniors are working in teams on two design proposals (FLOCK and VOID) that survived the Schematic Design 1 Review on January 27. 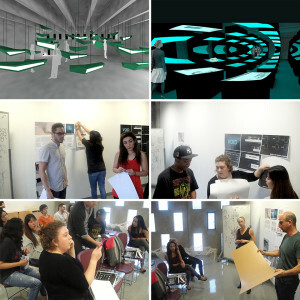 The final Schematic Design presentation will be on February 10, 5:00-6:30 pm, Ahmanson Hall 507.